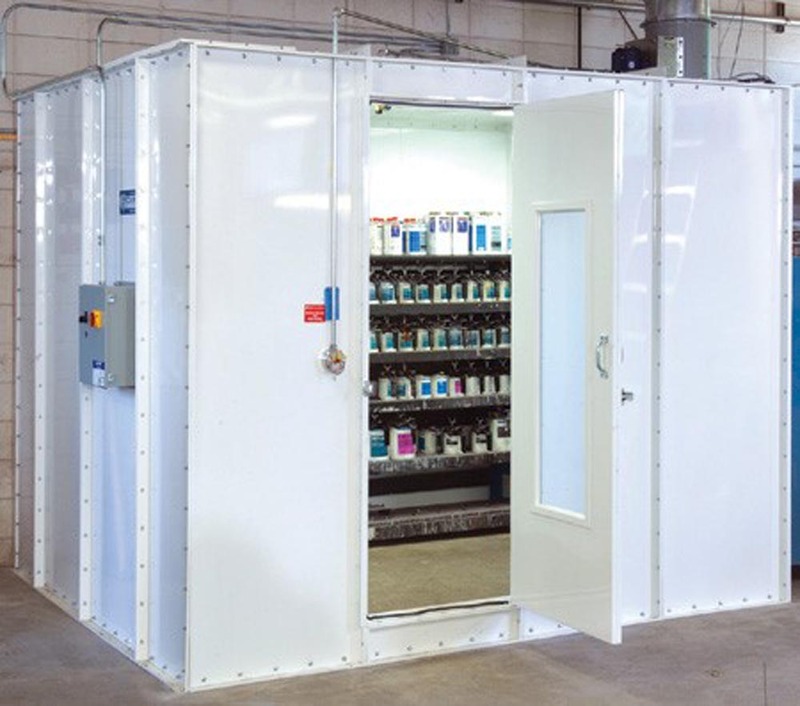 A paint mix & storage room is a standard requirement for storing and mixing paint materials. 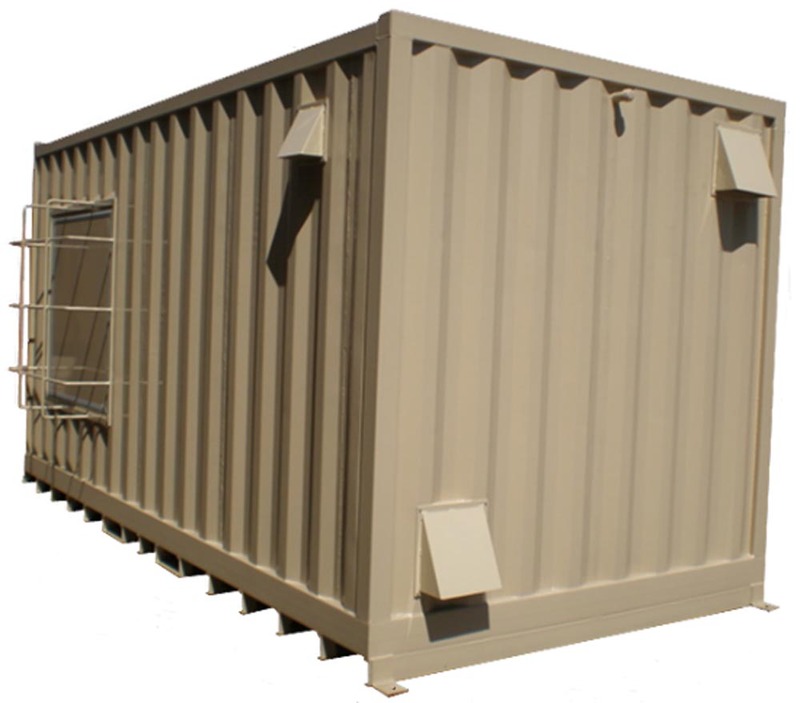 They come in many standard sizes and are available in custom sizes as well. 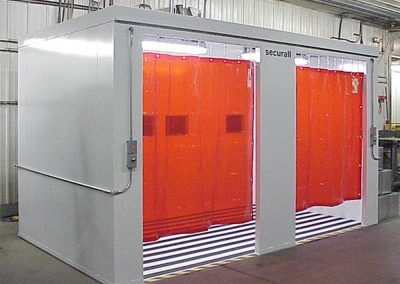 Bright full booth illumination is provided by 48″ four-tube, 32-watt clear, fluorescent light fixtures in the ceiling panels. 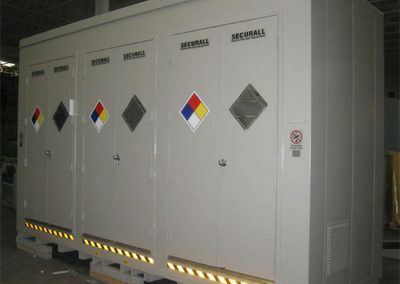 Each is sealed behind clear, tempered safety glass. 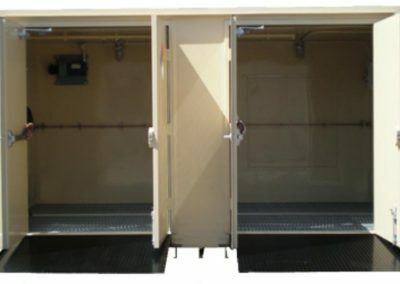 All fixtures are UL listed and approved for their intended use and placement. 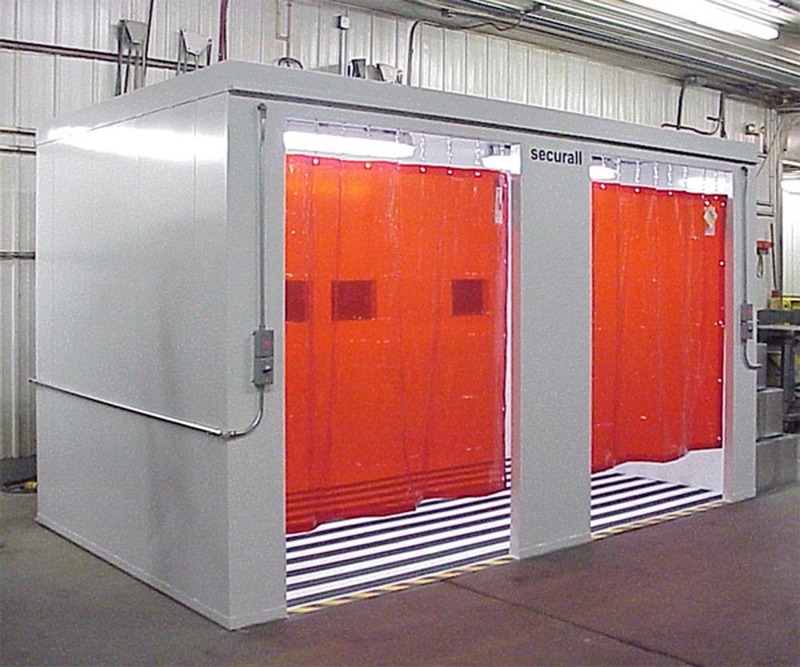 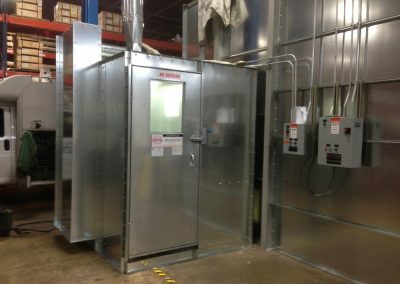 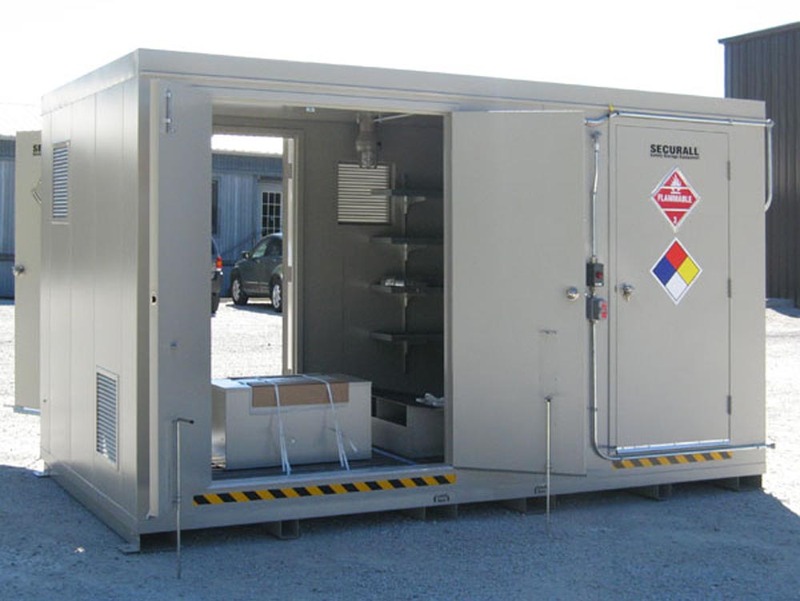 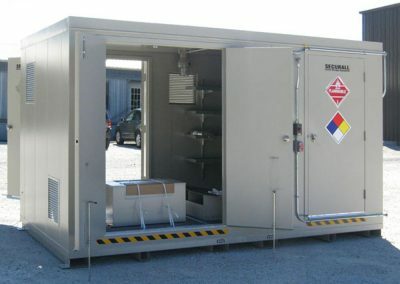 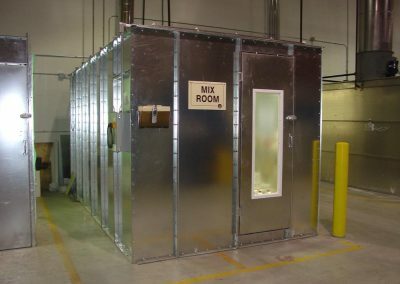 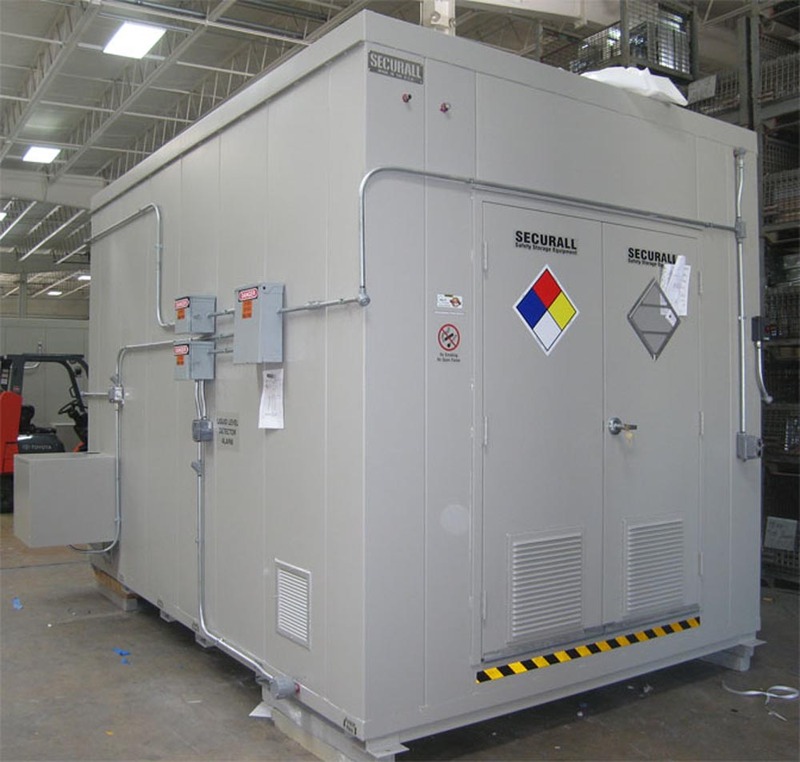 All our paint mixing rooms comply with all applicable OSHA and NFPA regulations. 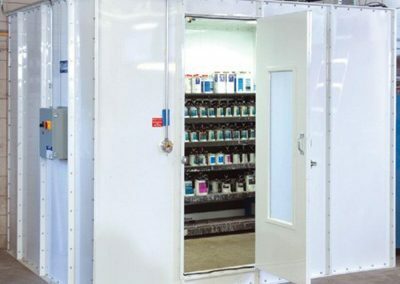 Paint storage rooms have a different classification from a paint mixing room. 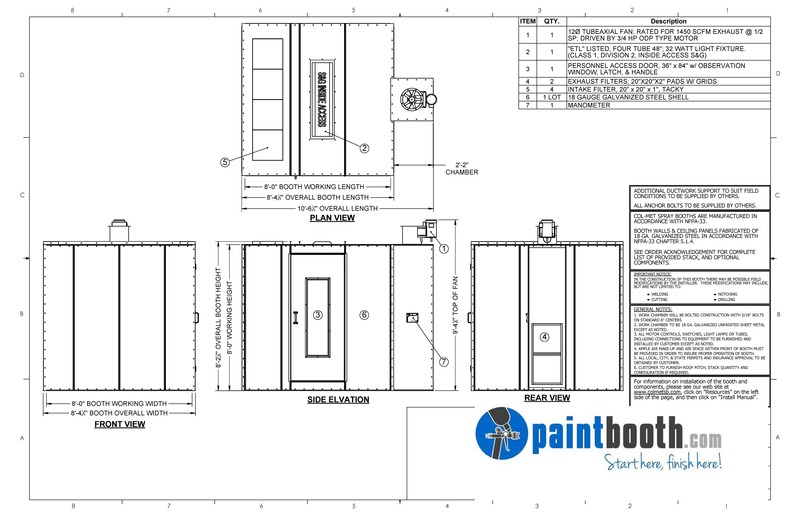 They are shipped completely assembled and are often referred to as paint kitchens. 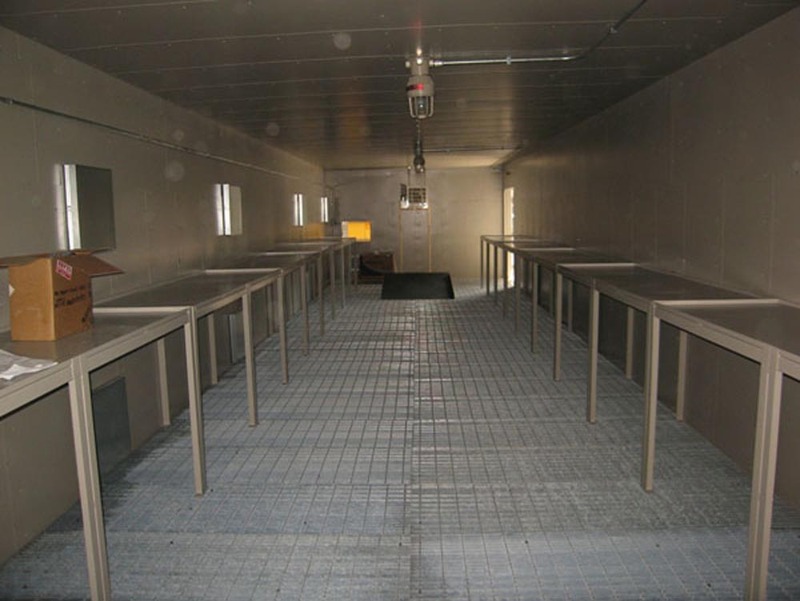 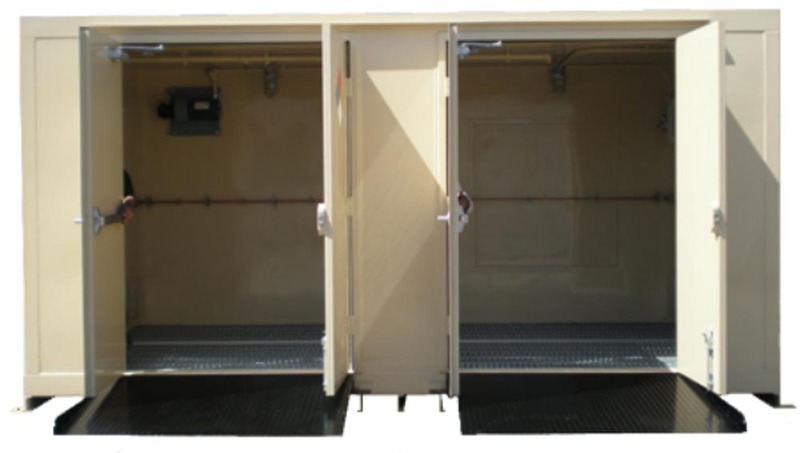 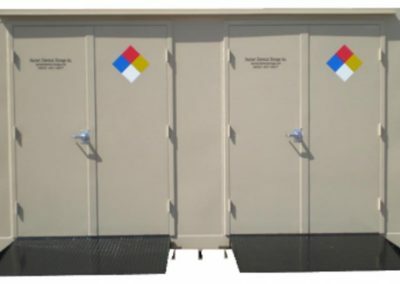 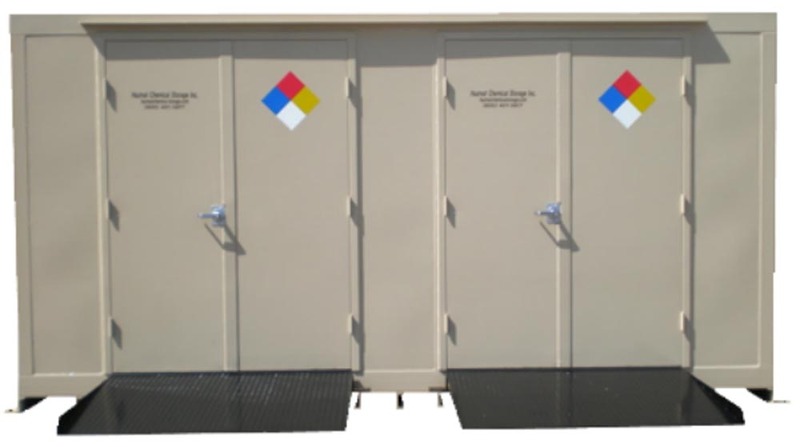 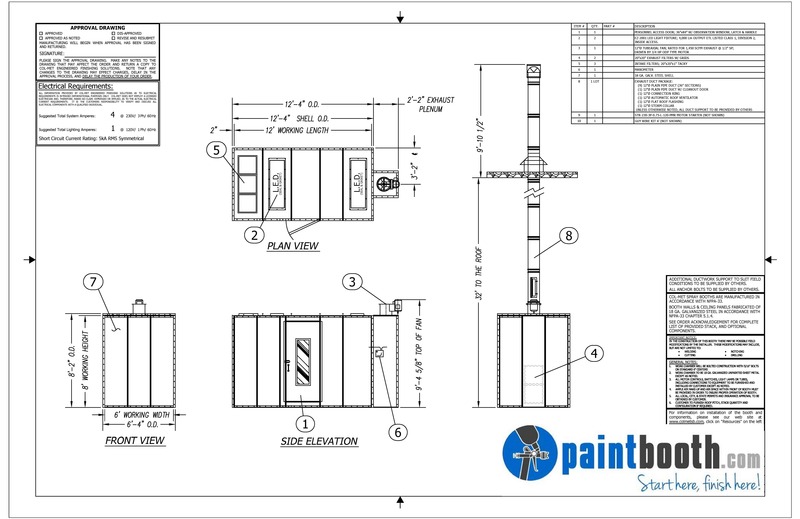 Our modular paint kitchens are movable and come equipped with fork channels and/or heavy duty lifting hooks. 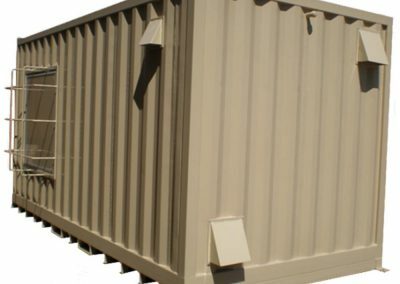 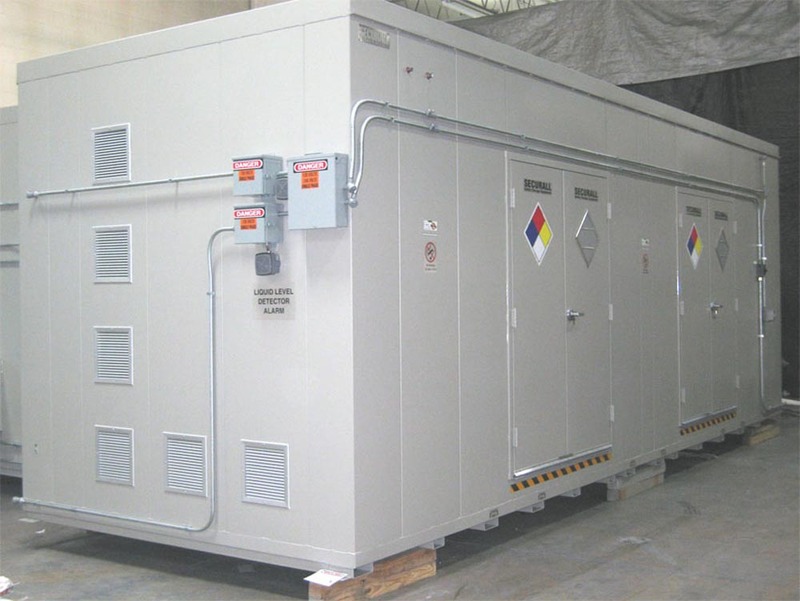 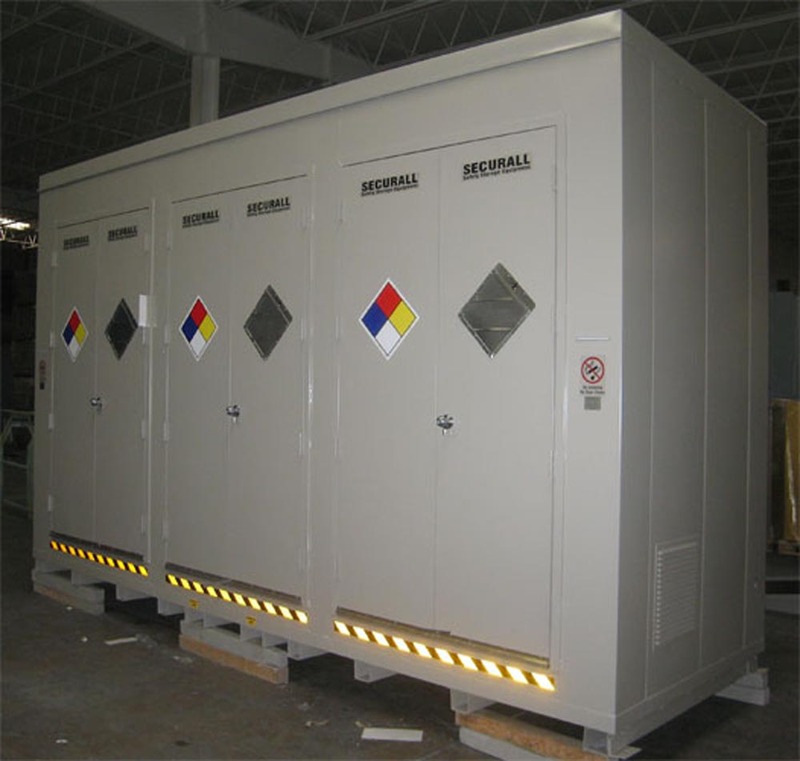 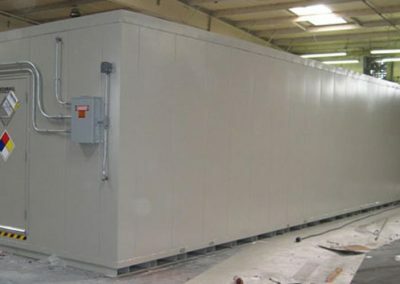 Exterior Walls: 16-gauge (Models B200 – B1200) or 12-gauge (Models B1600 – B8000) galvannealed steel. 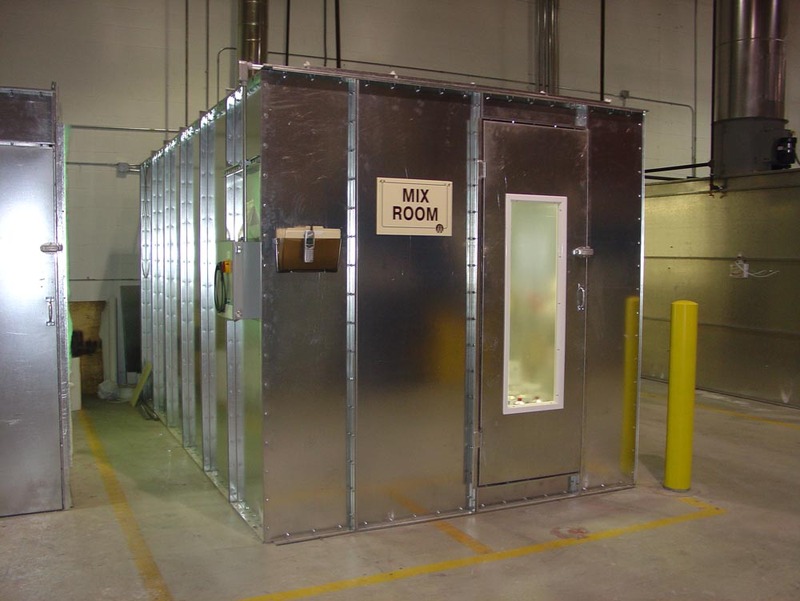 Interior Walls: 20 gauge galvannealed steel (3″ air space between walls). 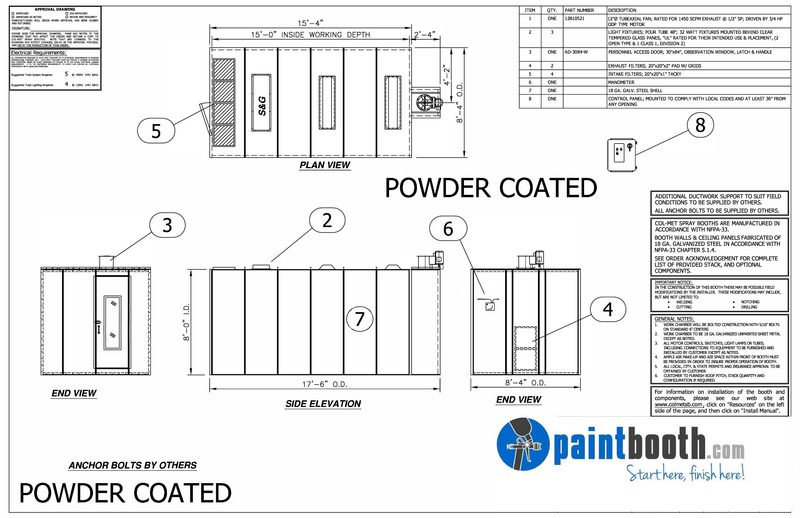 Specifications for the Standard Paint Mixing and Storage Room and the Powder Coated Paint Mixing and Storage Room. 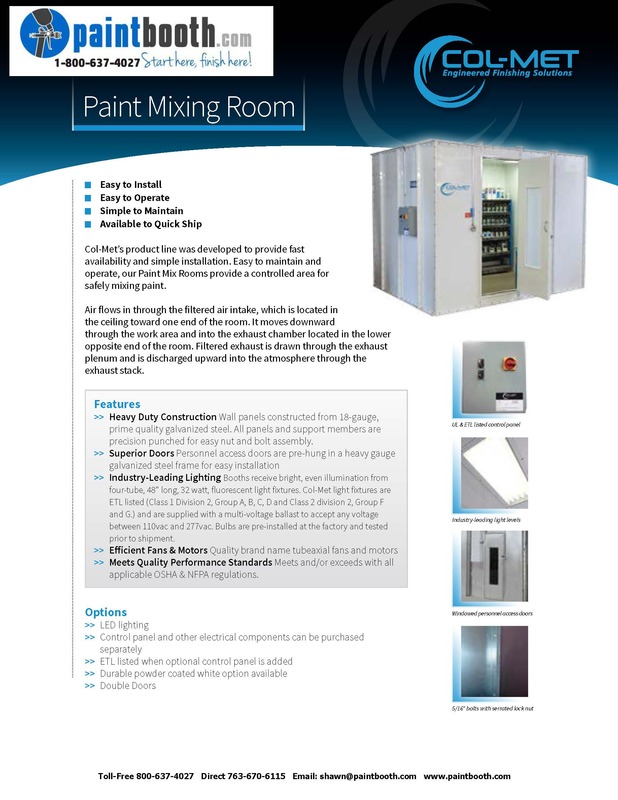 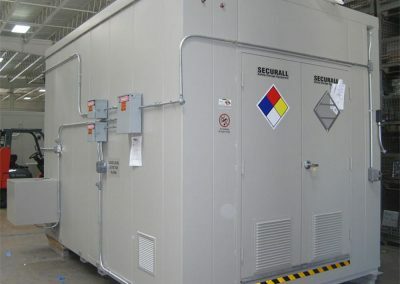 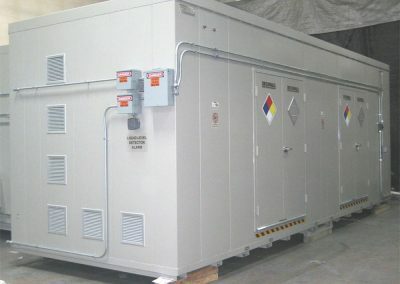 Our factory trained installation crew can get your new Paint Mixing and Storage Room installed correctly and quickly.